On December 19, the Congolese Minister of Justice, Minister of Interior and Security, and the General Direction of Migration (DGM) confirmed to members of the diplomatic corps, including the U.S. Ambassador, that the current suspension on the issuance of exit permits continues. This announcement confirmed information reported in the Department of State'sOctober 23 adoption alert regarding the suspension of issuance of exit permits to adopted Congolese children seeking to depart the country with their adoptive parents. The Ministers announced that even those adoptive families whose cases meet the DGM's criteria for receiving exit permits during the suspension will experience significant processing delays. Applications for exit permits for adopted children are facing increased scrutiny following reports of an apparently falsely backdated bordereau letter submitted by a U.S. family. The DGM reported that a number of additional applications appear to include fraudulently-obtained documentation as well. The Ministers stressed that adoptive parents must be patient as the DGM is reviewing applications thoroughly and cannot predict when exit permits may be issued. The U.S. Embassy in Kinshasa continues to seek information about why some families whose adoptions were approved by the Ministry of Gender and Family before September 25 have reportedly not been able to submit applications for exit permits. Adoptive parents are cautioned that the processing delays may impact the DGM's ability to accept and process additional applications. The DGM continues to estimate that the suspension will last a year. Adoptive families, prospective adoptive families, and adoption service providers are cautioned that the DGM has not committed to processing applications for exit permits within a given timeframe once the suspension ends. On December 19, the Minister of Justice, Minister of Interior and Security, and DGM reiterated the October 22 announcement that children adopted by single parents will no longer be eligible for exit permits, unless the adoptions were approved by the Ministry of Gender and Family before September 25. This prohibition applies to single individuals from all countries and is intended to be permanent. Please direct questions related to this notice or a specific adoption to the Department of State, Office of Children's Issues at 1-888-407-4747 within the United States, or 202-501-4444 from outside the United States. Email inquiries may be directed to AskCI@state.gov. We will also post new information as it becomes available on www.adoption.state.gov. ~ What All Adoptions Deserve. Over the last four years, PEAR has been following the increasingly complicated custody case of “Baby Veronica.” As the story involved several states, the ICWA (Indian Child Welfare Act), a Supreme Court ruling, numerous other court rulings, Nightlight Christian Adoptions, and often erroneous coverage in the media, we suggest you read the history of this saga at https://www.facebook.com/StandingOurGroundForVeronicaBrown, http://keepveronicahome.com/index.php/my-daddy, http://indiancountrytodaymedianetwork.com/story/baby-veronica, http://www.reformtalk.net/2012/01/06/adoptive-parent-entitlement-in-south-carolinacherokeeicwa-case-updated/, http://en.wikipedia.org/wiki/Adoptive_Couple_v._Baby_Girl, and, for the adoptee perspective http://www.latimes.com/local/lanow/la-me-ln-baby-veronica-adoptees-20130925,0,1433838.story for deep background. Many other bloggers, from the adoption community and the Native American community, have also spoken up. We believe this is a case of wrongful adoption of Veronica Brown by Matt and Melanie Capobianco. To summarize briefly, Nightlight Christian Adoptions (NCA) allowed this “open” adoption to proceed without the consent of the biological father, Dusten Brown. Furthermore, someone – whether the biological mother, her attorney Raymond Godwin (who is married to NCA’s director), and/or NCA is unknown to us - apparently deliberately falsified paperwork prior to the birth, misspelling Dusten’s name and using an incorrect birth date so that his Cherokee tribe would not be notified, which is a requirement for a child with Native American heritage. Had the tribe been contacted, the adoption could not have taken place. The Capobiancos were permitted to raise Veronica until she was two. At that point, the court in South Carolina ruled that Dusten had not knowingly given up his parental rights. Veronica was given to him, as she should have been as soon as the adoption was contested. Yet the Capobiancos refused to accept that decision. Over the last two years, the Capobiancos have been relentless in their pursuit of this child. They took this case public, exposing Veronica’s privacy in perpetuity and using Dr. Phil and adoptee-locator Troy Dunn as part of their PR machine to sway public opinion and the courts in their favor. They have had Dusten arrested and are now suing him for legal fees that were provided to them pro bono, travel fees to cover the media/publicity appearances they made (which are normally paid by the media, such as Dr. Phil). Not only have the Capobiancos done their utmost to procure this child through what we believe are fraudulent, deeply unethical means, but they, their adoption agency, and their lawyer have betrayed the basic concept of what adoption is meant to be: providing a family for a child who has none. Fortunately, Veronica’s case has garnered so much attention that she will be able to realize how her father fought to keep her, despite the machinations of the Capobiancos and their team. (For details, go to http://www.reformtalk.net/2013/09/23/spotlight-on-south-carolina-adoptions-and-nightlight-christian-adoptions/). We are extremely disheartened that the courts in this country have allowed this adoption to take place. Numerous adoption laws have been broken. South Carolina and Oklahoma do not have open adoption regulations that can be enforced. Given the animosity the Capobiancos have shown toward Dusten, we sincerely doubt they will allow Veronica’s father to be a regular presence in her life, or that they will be speaking of him and his extended family (as well as the Cherokee Nation) with the respect and love he deserves. Most important, however, is that this child has rights of her own. Veronica has the right to be raised by a competent, loving biological family. Prospective adoptive parents, their adoption agencies, and their adoption attorneys should not be allowed to trample on a biological father’s (or mother’s) rights. They should not be allowed to encourage biological mothers to deliver in a state (especially one with lenient adoption regulations) that is not their legal residence. They should not take their private situations public. They should pay utmost care when preparing paperwork that determines a child’s future. They should not feel justified, with an overwhelming sense of entitlement, to another person’s child. The tragedy of this case highlights the inequity between determined adoptive parents and the rights of the adoptees and their biological families. On October 22, the Congolese Ministry of Interior and Security, General Direction of Migration (DGM) clarified limited exceptions to the suspension of exit permit issuance referred to in the Department of State’s October 8 adoption notice. The DGM will issue exit permits to adopted Congolese children whose adoptions were approved by the Congolese Ministry of Gender and Family’s interministerial adoption committee beforeSeptember 25, 2013. The DGM provided the U.S. Embassy in Kinshasa with a list of children whose adoptions meet this requirement. The U.S. Department of State will contact the families whose children are on the DGM’s list by October 28. Adoptive parents are advised that the possession of a U.S. immigrant visa may not, on its own, be sufficient for the DGM to issue an exit permit to an adopted Congolese child. The DGM further clarified that the Ministry of Gender and Family will not process any pending or new applications for approval of adoptions during the suspension on exit permit issuances. On October 22, the DGM informed the U.S. Embassy in Kinshasa that it will no longer issue exit permits to Congolese children adopted by single parents, unless the adoption meets the above criteria for limited exceptions. The DGM contends that certain provisions of Congolese law prohibit single individuals from adopting Congolese children. This prohibition applies to single individuals from all countries and is intended to be permanent. The U.S. Embassy in Kinshasa is seeking clarification on the prohibition’s impact on children whose adoptions by U.S. families were already completed in the Democratic Republic of the Congo before the suspension. Prospective adoptive parents and adoption service providers are reminded that adopted Congolese children cannot depart the Democratic Republic of the Congo without an exit permit. Therefore, while the courts may continue processing adoptions, the children adopted during the suspension will not be able to obtain exit permits to depart the country. Please direct questions related to this alert or a specific adoption to the Department of State, Office of Children’s Issues at 1-888-407-4747 within the United States, or 202-501-4444 from outside the United States. Email inquiries may be directed to AskCI@state.gov. We will also post new information as it becomes available on www.adoption.state.gov. October 15, 2013: The Kenyan Adoption Committee has requested that the United States government remind adoption service providers and prospective adoptive parents of Kenya’s strict prohibition against pre-selection of children by prospective adoptive parents. The Kenyan National Adoption Committee, Kenya’s Central Authority under the Hague Adoption Convention, is likely to reject dossiers and/or referrals for families that have pre-selected a child or have had prior contact of any kind with a specific child, the child’s guardian, or individuals with power to determine a child’s eligibility or placement for adoption. This could include, but would not be limited to, contact through mission trips, volunteering at orphanages, or other relationships with the prospective adoptee. The sole exception to this prohibition is when a prospective adoptive parent can prove a blood relationship with a prospective adoptee. The U.S. Intercountry Adoption Act, which implements the Hague Adoption Convention in the United States, and the Department of Homeland Security’s Interim Hague regulations require disclosure in the home study of any information relevant to the prospective adoptive parents’ eligibility to adopt under the specific requirements of the child’s country of origin (See 8 CFR 204.311(q)). Prior contact between prospective adoptive parents or any additional adult member of the household and a Kenyan child’s parents, custodian or other individuals or entity responsible for the child’s care may be grounds for denial of the Form I-800 (See 8 CFR 204.309(b)(2)). Adoption service providers and prospective adoptive parents who wish to know more about intercountry adoptions from Kenya can visit the Department of State’s page on adopting from Kenya and the U.S. Embassy in Nairobi’s website for more information. October 15, 2013: On April 30, 2013, the Government of Ghana suspended processing of all adoption cases, including intercountry adoptions, pending Ghana’s review of its current adoption procedures. This alert provides additional information on how the Ghanaian Department of Social Welfare (DSW) is implementing the suspension and how the suspension impacts processing of related Forms I-600, Petition to Classify Orphan as an Immediate Relative. All adoption cases that received final approval by the Ghanaian Department of Social Welfare (DSW) or were filed with a court before April 30, 2013, are not subject to this suspension. For cases filed with a court on or after April 30, 2013, only emergency cases may proceed to final adoption in Ghana. Emergency cases include children who have special needs or medical conditions, children who could “age out” of adoption eligibility, and children adopted by biological relatives. These emergency cases must be submitted to the Acting Director of DSW for approval before being submitted to a Ghanaian court. We strongly encourage prospective adoptive parents not to proceed with an adoption in Ghana unless you meet the suspension exceptions described above. If you wish to pursue an adoption in another country due to the suspension, please see the U.S. Citizenship and Immigration Services (USCIS) website for more information at www.uscis.gov/adoption. When filing any Form I-600 petition, U.S. prospective adoptive parents must establish that the adoption or grant of custody took place in accordance with the law of the child’s country. For all Form I-600 petitions filed on behalf of a child from Ghana USCIS and the Consular Section at the U.S. Embassy in Accra require evidence that the Minister or Acting Director of DSW has approved the adoption case filed with the court after April 30 to ensure it was completed in accordance with the regulated exceptions to the suspension. In an effort to efficiently process these cases, USCIS Accra will continue to contact the DSW directly for petitions filed in Accra, when necessary, to confirm whether the case was approved by DSW. Prospective adoptive parents may also choose to obtain this evidence directly from DSW and submit it with their Form I-600 petition. The address for the Acting Director of the Department of Social Welfare is P.O. Box MB 230, Accra, Ghana. Please note there is no fee by DSW or USCIS for confirmation that a specific case was approved by the DSW. If prospective adoptive parents are unable to obtain this information from the DSW, please notify USCIS Accra at uscis.accra@uscis.dhs.gov. The Department of State and USCIS will continue providing updated information on adoption.state.gov as it becomes available. If you have any questions about this notice, please contact the Office of Children’s Issues at 1-888-407-4747 within the United States, or 202-501-4444 from outside the United States. Email inquiries may be directed to AdoptionUSCA@state.gov. DoS Notice: Children Adopted From Vietnam Before July 1, 2009 Must Register with the Government of Vietnam to Retain Vietnamese Citizenship. The 2008 citizenship law of Vietnam requires that children adopted from Vietnam before July 1, 2009 must register with overseas Vietnamese diplomatic missions prior to July 1, 2014 to retain their Vietnamese citizenship (Art. 13.2 citizenship law of Vietnam). The law does not require children adopted from Vietnam after July 1, 2009 to register because they automatically retain their Vietnamese citizenship (Art. 37.1 citizenship law of Vietnam). After July 1, 2014, those who do not register for retention will lose their Vietnamese citizenship. In order to reclaim their Vietnamese nationality, they would have to apply for restoration of Vietnamese citizenship, proving that they meet the conditions of Article 23 of the citizenship law of Vietnam and following a rigorous process that requires the approval of the President of Vietnam. For instructions on how to apply to retain Vietnamese citizenship, please visit the website of the Embassy of the Socialist Republic of Vietnam. The “Children in Families First Act of 2013” (http://www.govtrack.us/congress/bills/113/s1530), sponsored by Democratic Senator Mary Landrieu of Louisiana, begins with the assumption that “The people of the United States recognize and believe that children must grow up in permanent, safe, and nurturing families in order to develop and thrive.” Unfortunately, that underlying assumption by the Senator and her co-sponsors is not supported by the changes proposed to adoption law and regulation in the act itself. Senator Landrieu makes many authoritative-sounding assertions that lack any evidentiary support in social literature and studies. For example, while neglect in an institutional setting should certainly be avoided, there is nothing that shows that long-term foster care arrangements with area foster families is detrimental to child development, and the ability of a child to thus remain in their native culture can and should be seen as a significant advantage. The goal of the bill is to “realign the United States Government’s current operational system for assisting orphans and vulnerable children, and processing intercountry adoptions.” Thus, the primary goal of the bill is not to seek to improve the domestic adoption program inside the United States, but to impose United States goals and desires upon the rest of the world. The bill, for example, will require each sending country to annually report to the United States Department of Homeland Security how many children are “living without families,” to what extent “family permanence solutions are being utilized,” and other detailed reporting requirements. It is not clear why other countries would or should feel obliged to provide this information, but the bill seems to assume that such reporting can be accomplished by legislative fiat. Although the subsidiarity principle (placing children domestically as a first priority) is recognized by the authors of the bill, under this legislation both in- and out-of-country options would be considered simultaneously, with preference given for whichever method results in the quickest adoption. Thus, under the terms of this act, if an infant child could be adopted within a month through international adoption and six months through domestic adoption, the act gives preference to the international adoption. This, in effect, negates any deference to the subsidiarity principle as codified in the Hague Agreement. The underlying assumption among those in the adoption industry, including the authors and supporters of this bill, is that the collapse in international adoptions in recent years is due to increased administrative and regulatory burdens on sending countries, adoption agencies, and potential adoptive families. The conventional wisdom is that there are millions of orphans that could find permanent homes if the governments of the world would just get out of the way. The “Children in Families First Act of 2013” thus seeks to convert the U.S. Department of Homeland Security from a participant in the international adoption arena to its overseer. But the facts are that the decline in international adoptions has been the result not of increased regulations and oversight, but adoption scandals in the sending countries themselves. China, Vietnam, Cambodia, Guatemala, Ethiopia, and nearly every other large program collapsed or is collapsing under the weight of baby-buying and other unethical practices. The “Children in Families First Act of 2013” does not address this reality, and imposes no new safeguards to make the world’s international adoption program more secure, transparent or ethical. As concerned parents of adoptive children from around the globe, PEAR feels passionately that steps must be taken to improve the transparency and ethical standards of the world’s adoption programs. We support changing the U.S. definition of child trafficking, for example, to include trafficking for purposes of adoption. But the “Children in Families First Act of 2013” does little to increase the reliability and transparency of the international adoption programs in the world. This alert updates the Department of State's May 2 adoption alert regarding the suspension of issuance of exit permits to adopted Congolese children seeking to depart the country with their adoptive parents. On September 27, the Congolese Ministry of Interior and Security, General Direction of Migration (Direction Generale d'Immigration, DGM) informed the U.S. Embassy in Kinshasa that effective September 25, 2013, the DGM suspended issuance of exit permits to adopted Congolese children seeking to depart the country with their adoptive parents. The DGM reports the suspension will last up to 12 months. This suspension is due to concerns over reports that children adopted from the Democratic Republic of the Congo may be either abused by adoptive families or adopted by a second set of parents once in their receiving countries. The suspension of exit permits for adopted Congolese children applies to all intercountry adoptions and is not limited to adoptions by U.S. citizens. These exit permits are required in addition to U.S. immigrant visas in order for children to travel to the United States. The DGM has not indicated whether adoptions in process may continue during the suspension period. The U.S. Embassy in Kinshasa is seeking clarification on the impact this will have on cases where adoptions were already completed, or completed and an immigrant visa issued. We will post new information as it becomes available on www.adoption.state.gov. Please direct questions related to this alert or a specific adoption from the Democratic Republic of the Congo to the Department of State, Office of Children's Issues at 1-888-407-4747 within the United States, or 202-501-4444 from outside the United States. Email inquiries may be directed to AskCI@state.gov. The Department of Adoptions in the Ministry of Justice of the Socialist Republic of Vietnam (MOJ/DA) has issued the following guidance. This guidance is related to the MOJ/DA’s July announcement, published on this website, to accept applications for authorization from U.S. Convention-accredited adoption service providers (ASPs). Acceptance of applications for licensing – from July 22, 2013 through September 21, 2013: ASPs may submit applications for licensing to operate in Vietnam at the Ministry of Justice’s reception desk every Tuesday and Thursday. Application pre-screening and review – from September 22, 2013 through December 21, 2013: Based on the number of applications received, the Ministry of Justice will review, assess, and make a shortlist of ASPs. Subsequently, MOJ/DA will schedule interviews with the Vietnam program manager of the shortlisted ASPs. If an ASP is not contacted by the Ministry of Justice during this period, this means that the ASP was not shortlisted. Assessing the capacity of shortlisted ASPs – from the end of 2013 to the beginning of 2014: The Ministry of Justice will organize an interagency delegation to examine the operations of shortlisted ASPs at their headquarters in the United States. Based on the results of application review, interview, examination of ASP operations in the United States, and in consultation with other relevant Vietnamese agencies, the Minister of Justice will decide which two most qualified ASPs among the shortlisted candidates will be licensed. During the application acceptance and review period, the MOJ/DA will not accept any requests for meetings from any U.S. ASP. If necessary, the MOJ/DA will contact the ASPs which have been shortlisted to submit additional documentation. CAUTION: The Department of State urges U.S. prospective adoptive parents not to initiate Form I-800A or Form I-800 filings with USCIS identifying Vietnam as the country of intended adoption and not to take steps to initiate an intercountry adoption in Vietnam until the Department of State announces that it has determined that U.S. intercountry adoptions from Vietnam may proceed. Please monitor adoption.state.gov for further updates. DoS Notice on Mexico: Updated information on U.S.-based Hague Accredited Adoption Service Providers authorized by Mexican Central Authority. It is essential that U.S. citizens wishing to adopt in Mexico work with an adoption service provider that has current U.S. Hague accreditation or approval and is currently authorized by the Mexican Central Authority. Because Mexico periodically updates its list of authorized providers, we encourage prospective adoptive parents to verify their adoption service provider’s authorization status with the Mexican Central Authority before initiating an adoption. The Mexican Central Authority publishes a list of adoption service providers authorized to provide adoption services in Mexico. In addition, our Mexico adoption information flyer includes contact information for the Mexican Central Authority along with information on the Mexican intercountry adoption process. We publish updated information related to intercountry adoptions from Mexico as we receive it. If you have any further questions please write to us at adoptionUSCA@state.gov or call us at 1-888-407-4747. The Mexican Central Authority (MCA) recently informed the Office of Children's Issues that it is unable to issue the required Convention Article 23 certification for any out-of-order adoptions, and that prospective adoptive parents will need to redo such adoptions in accordance with Mexican law. The "How to Adopt" section of our Mexico adoption flyer, which will be updated soon, summarizes the process for adopting a child from Mexico. All prospective adoptive parents must work with a U.S. accredited or approved adoption service provider (ASP) that is also authorized in Mexico. For up to date information on U.S. agencies authorized to provide adoption services in Mexico, prospective adoptive parents may refer to the website of the national Desarollo Integral de la Familia (DIF). Before commencing adoption processing at the state level (and prior to matching), the authorized ASP acting on behalf of the prospective adoptive parents must first file the adoption application (also known as dossier) with the Secretaria de Relaciones Exteriores (SRE). The SRE forwards the adoption application to the national and state offices of the DIF. The application must include an approved I-800A. Prospective adoptive parents and the children who are to be adopted must meet the Mexican intercountry adoption eligibility requirements. These requirements, as provided by the MCA, are summarized on our Mexico adoption flyer under the "Who can be Adopted" and "Who can Adopt." The MCA advised that that if a family already completed an adoption without following all Convention steps in order, then the family may go to a Mexican federal court and petition the court for an amparo ordering the lower/state court that issued the adoption decree to open, or vacate, the adoption.. Once the family has been granted a federal amparo ordering the lower/state court to vacate the previous adoption, the family would redo the entire adoption in compliance with Mexico's Convention intercountry adoption process. Mexico's stated policy means that an I-800 petition based on an adoption completed out of order in Mexico must be denied pursuant to 8 CFR 204.309(b)(1). For some out-of-order Convention adoptions, the cited regulation allows for provisional approval of an I-800 if the petitioner can demonstrate that the adoption cannot be voided, vacated or annulled. With this announcement, provisional approval for out of order Mexican intercountry adoptions is unavailable because the MCA indicated that adoptions can be vacated, voided, or annulled in Mexico through a federal amparo process. Furthermore, the MCA has stated that it will not issue the required Convention Article 23 certification for cases that do not follow the Mexico's Convention process. Without the MCA's certification, the U.S. Embassy cannot issue a Convention immigrant visa. We will publish additional updated information related to intercountry adoption in Mexico as we receive it. If you have any further questions please write to us at adoptionUSCA@state.gov or call us at 1-888-407-4747. In May 2013, the Government of Uzbekistan issued a decree amending the Civil Procedural Code concerning Courts appointed as adoption authorities to review domestic and intercountry adoptions. The changes will require the judicial system of Uzbekistan to implement certain procedural steps for reviewing adoption cases. Because the details of these changes will not be known until the Cabinet of Ministers releases final procedural orders, prospective adoptive parents may face unexpected delays during the implementation of the new process. Updated information about the new procedures will be added as soon as it becomes available. Department of Adoptions within the Ministry of Justice of the Socialist Republic of Vietnam is now accepting applications from U.S. Hague-accredited adoption service providers (ASPs) for authorization to operate a limited intercountry adoption program for children with special needs as defined by Vietnamese law, children older than five, and children in biological sibling groups of two or more in Vietnam. The Government of Vietnam has determined that it will authorize no more than two (2) U.S. ASPs to operate in Vietnam. U.S. prospective adoptive parents should not initiate Form I-800A or Form I-800 filings with U.S. Citizenship and Immigration Services (USCIS) identifying Vietnam as the intended country of adoption until the Department announces that it has made a determination that intercountry adoptions between the United States and Vietnam may proceed under the Convention. Three (3) or more consecutive years of experience providing services in intercountry adoptions in Vietnam. Five (5) or more consecutive years of experience providing intercountry adoption services to children with special needs, children older than five, and children in sibling groups. The ASP should be authorized to operate broadly in the United States. Eligible ASPs must have offices in at least five (5) States. In addition, the ASP must demonstrate that it meets the criteria established in Vietnam’s laws. As a courtesy to U.S. ASPs, the Government of Vietnam provided its Prescreening Document, which it will use to determine whether a U.S. ASP may be eligible for authorization. The Department encourages only U.S. ASPs capable of meeting Vietnam’s criteria and the Prescreening Document to apply for authorization. Additional information on Vietnam’s procedures for granting operation licenses for foreign adoption agencies in Vietnam (the Government’s Decree No: 19/2011/ND-CP Providing in Detail for Implementation of a Number of Articles of the Law on Adoption) can be found on the Ministry of . The Department of Adoptions will begin accepting applications for authorization on July 22, 2013, with a closing date of September 22, 2013. All applications must be received by the closing date to receive consideration. The Government of Vietnam has informed the U.S. Embassy in Hanoi that the amount of time it will take to move forward with ASP selection will depend on the number of applications it receives. The Government of Vietnam will determine which ASPs will be contacted for further follow up/interview. If an ASP does not hear from the Department of Adoptions within three months from the closing date, on December 22, 2013, this indicates that the agency was not selected. The Department of Adoptions informs interested ASPs that the application fee for authorization (formally termed “licensing fee” in Vietnamese documents) of VND65,000,000 (65 million Vietnamese Dong) per license is non-refundable, regardless of whether an ASP is subsequently authorized. WARNING: The Department of State urges U.S. prospective adoptive parents not to initiate Form I-800A or Form I-800 filings with USCIS identifying Vietnam as the country of intended adoption and not to take steps to initiate an intercountry adoption in Vietnam until the Department of State announces that it has determined that U.S. intercountry adoptions from Vietnam may proceed. Please monitor adoption.state.gov for further updates. This notice updates the Department of State’s June 27, 2013, adoption alert regarding the limited resumption of exit permit issuances to adopted Congolese children seeking to depart the country with their adoptive parents. Adoptions completed on or after June 12, 2013:The DGM will only issue exit permits to children whose adoptions were completed in the local Tribunal pour Enfants, as required by the Congolese 2009 Law on Child Protection. The DGM notes that Tribunal pour Enfants exist in Kinshasa, Matadi (Bas-Congo), Goma (Nord-Kivu), and Lubumbashi (Katanga). Children from other provinces must be adopted in the Tribunal pour Enfantsin Kinshasa or a neighboring city. Adoptions completed prior to June 12, 2013: The DGM will not apply the Tribunal pour Enfants requirement retroactively to adoptions completed before June 12, 2013. Prospective adoptive parents and their adoption service providers are reminded that there is no fee for the exit permit. The DGM conducts its own investigations to ensure Congolese adoption procedures have been followed. The U.S. Embassy in Kinshasa will not contact the DGM to request expedited processing of the exit permit. The Department of State strongly discourages the practice of paying “expediting fees” to Congolese officials in an attempt to move the adoption process more quickly. These “fees” can be perceived as bribes that encourage corruption. Prospective adoptive parents seeking to adopt from the DRC and their adoption service providers are encouraged to review the information provided by the Department of State regarding the current U.S. Embassy procedures, the general process for adopting from the DRC, and the most recent travel warning. It is essential that U.S. citizens wishing to adopt in Mexico work with an adoption service provider that has current U.S. Hague accreditation or approval and is currently authorized by the Mexican Central Authority. Because Mexico periodically updates its list of authorized providers, we encourage prospective adoptive parents to verify their adoption service provider’s authorization status with the Mexican Central Authority before initiating an adoption. The Mexican Central Authority publishes a list of adoption service providers authorized to provide adoption services in Mexico. In addition, our Mexico adoption Country Information Sheetincludes contact information for the Mexican Central Authority along with information on the Mexican intercountry adoption process. On July 1, 2013 the Hague Convention on Protection of Children and Co-Operation in Respect of Intercountry Adoption (Convention) entered into force for the Kingdom of Swaziland. However, the Government of the Kingdom of Swaziland verbally notified the U.S. Embassy in Mbabane that the current suspension on intercountry adoptions will remain in effect until the country has fully implemented the Convention. The Embassy was not provided with a definitive timeframe for implementation. We caution adoption service providers and prospective adoptive parents that intercountry adoption procedures from Swaziland must comply with the Convention before intercountry adoptions between the United States and Swaziland resume. Adoption service providers should neither initiate nor claim to initiate adoption programs in Swaziland until the Department of State notifies them that the Government of the Kingdom Swaziland has lifted its suspension on intercountry adoptions and that Swaziland’s procedures meet the requirements of the Convention. The Department of State will provide updated information on adoption.state.gov as it becomes available. If you have any questions about this notice, please contact the Office of Children’s Issues at 1-888-407-4747 within the United States, or 202-501-4444 from outside the United States. Email inquiries may be directed to AdoptionUSCA@state.gov. The Colombian Institute for Family Welfare (ICBF) formally announced several important changes in Colombia’s management of intercountry adoptions. Beginning July 15, 2013, ICBF will no longer accept new intercountry adoption applications from non-Colombian citizens living abroad interested in adopting a child under 6 years and 11 months old, unless ICBF considers the child to have special characteristics or needs. Families who are considering adopting a healthy child in this age range should ensure that they have filed their initial application with ICBF no later than the July 15, 2013 deadline. Visit ICBF website to learn what documents ICBF requires as part of the initial application. ICBF has indicated this moratorium will last at least two years. The Department of State expects that adoption processing will continue to operate normally in all other respects. Families who have already been accepted by ICBF as prospective adoptive parents for a healthy child less than 6 years and 11 months old will maintain their place on the existing waiting list and ICBF will continue to match and finalize adoptions for these children. Families interested in adopting older children or any child identified by ICBF as being more difficult to place because of special characteristics or needs should not experience any changes as a result of this decision. Furthermore, ICBF has indicated that any family currently on the waiting list which is open to adopting a different category of child should work with their adoption service provider to let ICBF know. Visit icbf.gov.co to learn more about the 8,000 children with special characteristics or needs who are currently awaiting adoption. In addition to this moratorium, ICBF has also implemented a number of changes affecting adoption service providers and private adoption houses. Effective immediately, adoption service providers may no longer charge prospective adoptive families for “humanitarian assistance” programs as part of an adoption contract. In addition, ICBF has formally reminded prospective adoptive parents, adoption service providers, and private adoption houses of its ban on donations by any family or entity involved in an ongoing adoption prior to the completion of that adoption. ICBF is concerned that these payments and donations jeopardize the credibility of Colombia’s intercountry adoption process. The Department of State expects that ICBF may take adverse action against any individuals or entities that do not honor these requirements. For updates you may email the Bogota U.S. Embassy at:IVBogota@state.gov, Attn Adoptions or refer to adoption.state.gov for updates. This alert updates the Department of State’s May 2 adoption alert regarding the suspension of issuance of exit permits to adopted Congolese children seeking to depart the country with their adoptive parents. On June 17, the Democratic Republic of the Congo’s (DRC) General Directorate of Migration (Direction Generale de Migration, DGM) informed the U.S. Embassy in Kinshasa that the DGM has partially lifted its temporary suspension of issuance of exit permits to adopted Congolese children seeking to depart the country with their adoptive parents. At this time, DGM will only issue exit permits to children whose adoptions were completed in the local Tribunal pour Enfants, in accordance with the Congolese 2009 law regarding the protection of children. The U.S. Embassy in Kinshasa is seeking further clarification on the DGM’s decision and how it may affect intercountry adoptions completed in Tribunal de Paix in provinces where a Tribunal pour Enfants does not yet exist or did not exist at the time an adoption was completed. The Department of State will post new information as it becomes available on adoption.state.gov. Prospective adoptive parents seeking to adopt from the DRC and their adoption service providers are encouraged to review the information provided by the Department of State regarding the current Embassy procedures, the general process for adopting from the DRC, and the most recent travel warning. If you have concerns or questions regarding the alert or a specific adoption from the DRC, please contact the Department of State, Office of Children’s Issues at 1-888-407-4747 within the United States, or 202-501-4444 from outside the United States. Email inquiries may be directed to AskCI@state.gov. Russia requires post-placement reports to provide information regarding the welfare of children adopted by U.S. families. Reports should be prepared in accordance with the requirements established by the Russian government and as agreed to during the adoption process. All reports should be translated into Russian. Reports may be submitted to the Ministry of Education and Science of the Russian Federation directly at the address included below or can be sent to the regional authorities where the adoption was completed. More information regarding post-placement reports can be found on the Russia country information sheet. We strongly urge you to comply with the requirements established by the Russia government and complete all post-adoption requirements in a timely manner. Your adoption agency may be able to help you with this process. 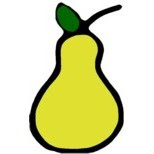 PEAR will be bringing to you the viewpoints of guest bloggers on topics relevant to adoption ethics, education, and reform. If you have a topic to suggest, or someone you would like to hear from, please contact us at: reform@pear-now.org.